specializing in developing and selling naming rights and sponsorships as well as providing strategic consulting services for our clients. Based in Rockville, MD, we have assembled a support staff of sales and marketing specialists covering a wide spectrum of expertise to provide research, analysis, marketing solutions and sales results. Our group is focused on maximizing the revenues of our clients while enhancing their long-term strategies, goals and objectives. Fred Fried brings over fifteen years of experience in sports marketing, athlete representation, sponsorship & advertising sales, licensed product development and corporate marketing consulting. Prior to co-founding Team Services, Fred served as President of Marketing for Clear Channel Entertainment's (CCE) sports division and in 1993 was a founding partner of Integrated Sports International (ISI), which eventually merged with SFX Sports. He has been a key negotiator in several major naming rights agreements, including the Baltimore Ravens' M&T Stadium, the Carolina Panthers' Ericsson Stadium and the University of Maryland's Comcast Center. 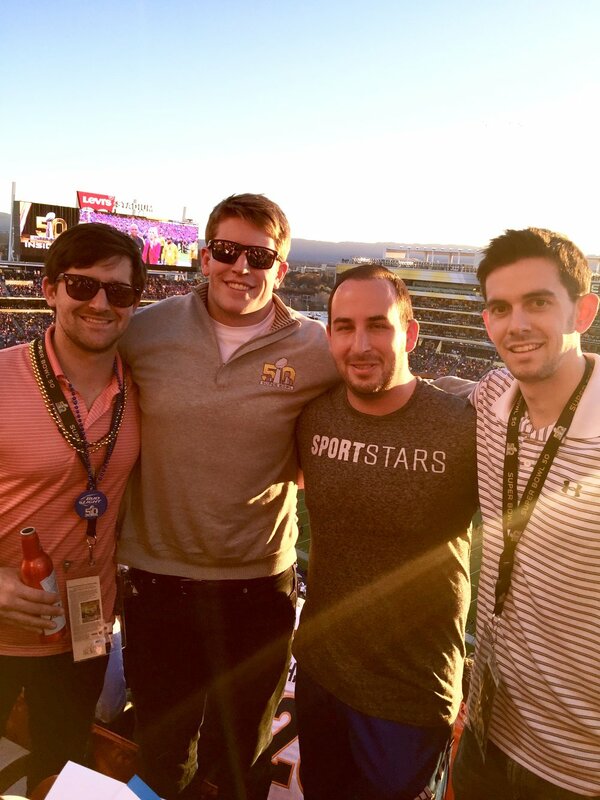 EJ Narcise brings a wealth of experience after working in a variety of sports business capacities around the country. Before co-founding Team Services, EJ most recently served as Vice President with Integrated Sports International (ISI) and Clear Channel Entertainment's (CCE) Team, League and Venue Services. He provides expertise in stadium and arena naming rights, corporate sponsorships, executive seating plans and strategic public/private stadium partnerships and has been a driving force in several trendsetting naming rights agreements, most recently the University of Maryland's Comcast Center and the Baltimore Ravens' M&T Bank Stadium. As a boutique agency, we strive to build a unique culture that encourages hard work and accountability, yet embraces a family atmosphere and a spirit of enjoying the work you do. Whether through our summer softball league, volunteering in the local community, in-office putting competitions, or a couple days away on a company retreat – we strive to represent our core values both in and out of the office. Most importantly, we know our people make our culture, and we work to develop opportunities where we can help each other succeed through collaboration and support. If you share these values, we’d be happy to meet you and show you first-hand our people and our culture!